I am always on the lookout for new ways to make asparagus. I found some Italian flavored panko in my pantry and decided to roast some asparagus then top it with some panko mixed with minced garlic and olive oil. It turned out delicious! I loved the crisp-tender asparagus topped with the crunchy and garlicky panko. It was a great combination of flavors and textures. My kids ate it without complaint so I take that as a success! Preheat the oven to 400 degrees. Coat a small baking dish with cooking spray. 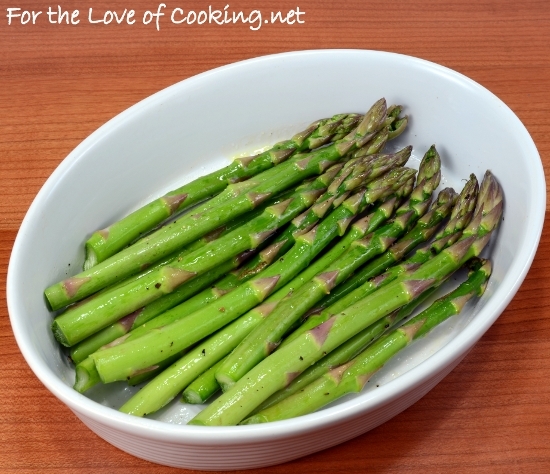 Remove the wooden ends of the asparagus then place them into the baking dish. Drizzle a touch of olive oil on the asparagus spears then season with sea salt and freshly cracked pepper, to taste; toss to coat evenly. 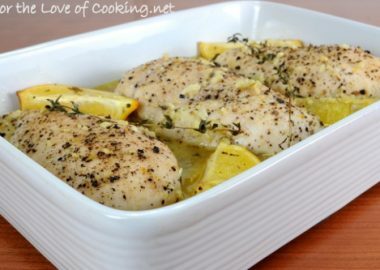 Place into the oven and roast for 10 minutes. 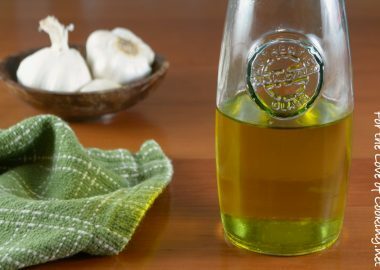 While the asparagus is roasting, toss the panko crumbs with the minced garlic and a dash of olive oil; mix until well combined. 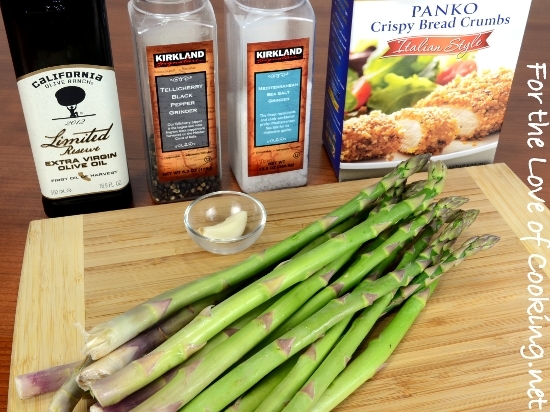 After the asparagus has roasted for 10 minutes, remove from the oven and sprinkle the top with the panko mixture. Return to the oven and continue roasting for another 3-5 minutes, or until the asparagus is crisp-tender. Serve immediately. Enjoy. Ooooh that panko topping is just genius! 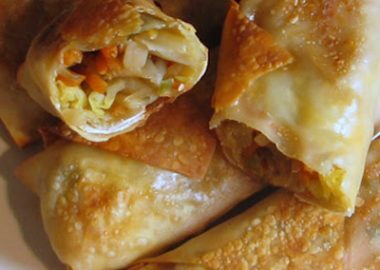 We lke to batter and deep fry the asparagus but this looks like a healthier alternative. Look forward to trying it. What a delicious way to serve asparagus. In a few weeks we will be seeing the local stuff appear in the markets. How would we ever get along without panko? 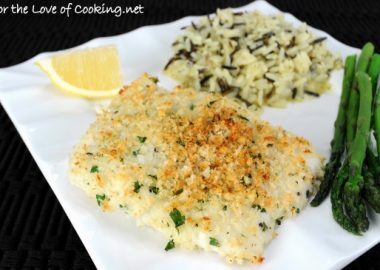 What a great idea to use Panko crumbs. Like you I’m always on the lookout for new asparagus recipe ideas. YUM! I love your veggie recipes! 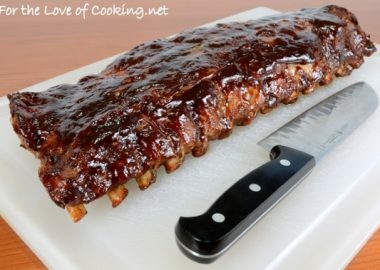 You’re always making such delicious and unique things! I’ve altered my cooking method for asparagus once or twice, and my guys always howl like the world has ended. So while yours looks really great, I sadly regret that I won’t be able to try it out. what a beautiful side dish for easter, i love this! 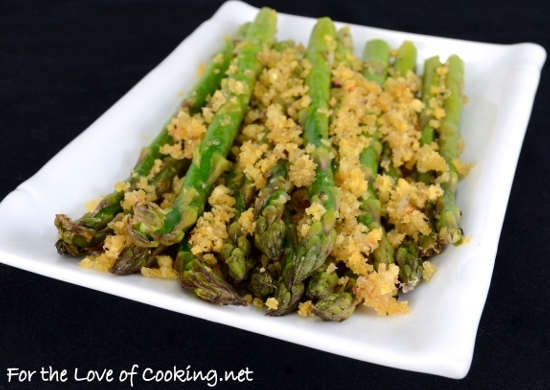 I’ve become quite enamored with breadcrumbs lately as condiments…so I am so making this this asparagus season! My most favorite way to prepare this vegetable. Roasting does great things for asparagus. Don’t you just love those Progresso crumbs. I’m so thrilled that asparagus season is almost upon us, this version looks wonderful! Oh…asparagus are one of my favorites. They are definitely a sign for Spring and I can’t wait to try your delicious recipe. The panko on top sounds delicious. I just had some asparagus tonight for dinner but it didn’t look nearly as good as this! 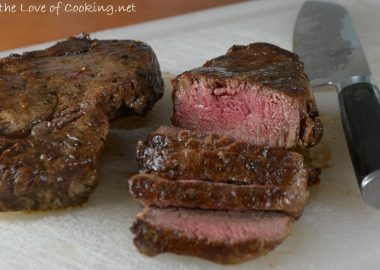 wow, this looks so good. i noticed your kirkland seasonings, love COSTCO! 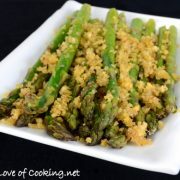 I love the idea of bread crumbs added to the asparagus, I would like the crunch of the panko bread crumbs too. Can’t wait to the GREEN asparagus season arrive over here! 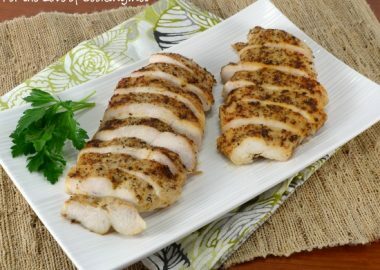 This looks so flavoursome! 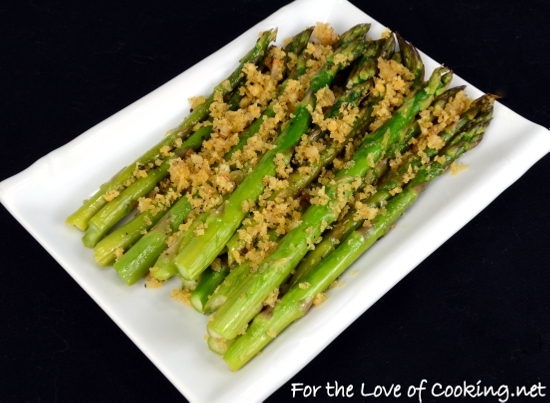 Original idea of dressing asparagus – delicious! And a nice contrast in texture too. HOLY WOW these were amazing… then one day, my husband accidentally “added stuff” to this dish. (He likes to “help” cook sometimes…. He added PARMESAN CHEESE! YES! Right on top of the Panko. Well let me tell you, he got a big kiss & we got a “seconds please! !” From the kids! This dish now has to be made in a 9×13 baking dish! Thanks, Pam!